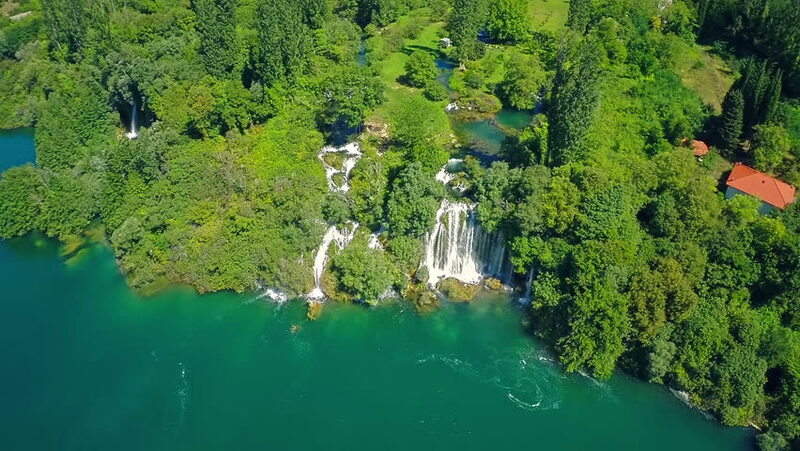 Copter aerial view of the waterfall Roski Slap on river Krka landscape on the beautiful summer day, National Park of Croatia. hd00:34Langson, Vietnam, July 16, 2016: Dangmo - Detian waterfall in Langson, Vietnam. hd00:10Langson, Vietnam, July 16, 2016: Dangmo - Detian waterfall in Langson, Vietnam. hd00:40Waterfall in Koror Island, Palau.